Product #21536 | SKU QPB301P | 0.0 (no ratings yet) Thanks for your rating! Store and protect your camera from dirt, dust, and bumps with the pink QPB-301P Point and Shoot Camera Case from Case LOGIC . The semi-hard, lightweight, moulded EVA clamshell case offers outer protection, while the soft interior cushions the LCD screen and helps prevent scratches. 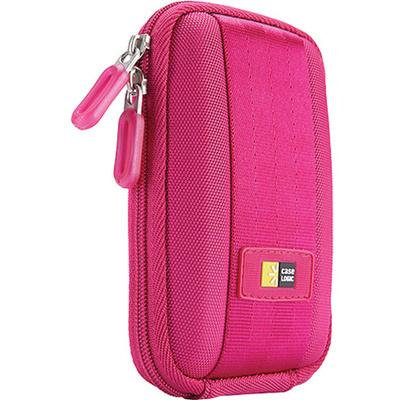 A fully-featured case, it has an interior slip-in pocket for a memory card or battery. Dual zipper pulls provide quick and secure access to your camera. Carry the case with the low profile belt loop or clip-on lanyard.